Home » Cauliflower Bacon–Yes, Really! 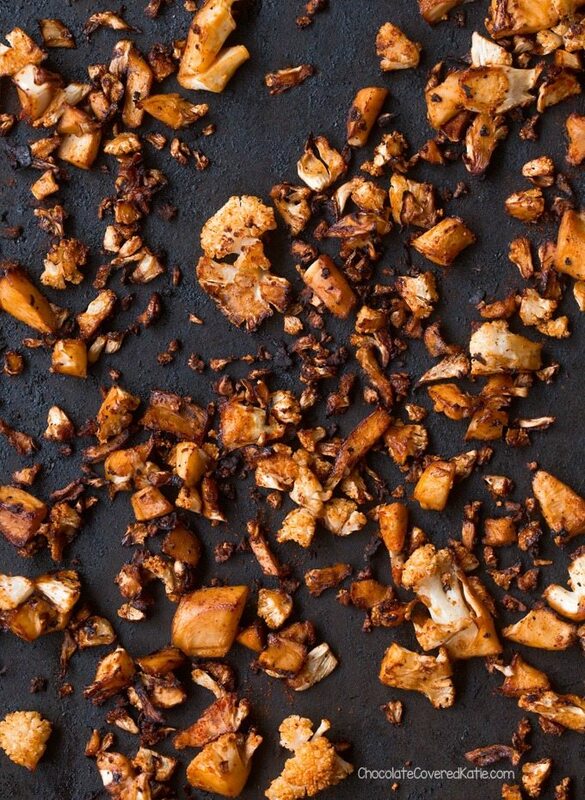 Crispy, smoky, surprisingly addictive, & completely vegan cauliflower bacon. When I first got the idea to make cauliflower bacon, I was shocked to find no one on the internet had done it yet. After all, people have done everything with cauliflower – A few weeks ago, I saw a store selling cauliflower ice cream. 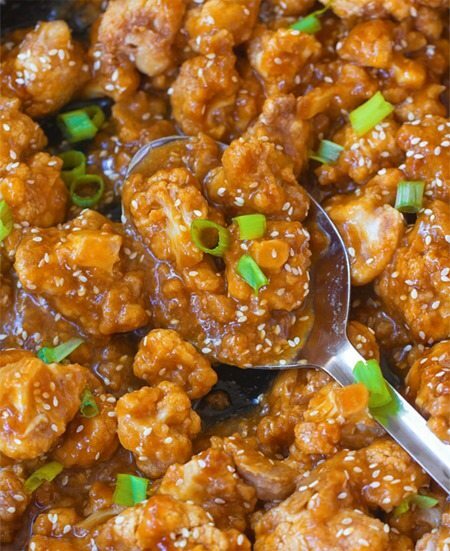 My favorite cauliflower recipe is still this Sticky Sesame Cauliflower. And I know… bacon lovers are reading this post and thinking, UGH HOW COULD YOU DO THIS TO BACON??? But most commercial brands of bacon bits are actually not real bacon either; they’re made up of ingredients such as maltodextrin, caramel color, and FD&C Red 40, whatever that is. 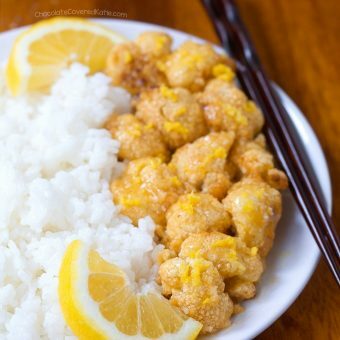 Cauliflower sounds much less scary, and much more delicious! There are recipes out there for eggplant bacon, and mushroom bacon, and tempeh bacon, and carrot bacon, even coconut bacon. So why not cauliflower bacon? Soon will come the day when someone does kale bacon. Don’t worry; it won’t be me. Even I think that’s taking things too far! Then again, maybe now that I’ve done cauliflower bacon, I shouldn’t be allowed to judge anyone for anything, ever again. Anyway, the recipe came about after I had a conversation with a friend on how strange it is that we live in a world where bacon (not exactly healthy) and cauliflower (one of the healthiest things you can eat) share the spotlight for trendiest food of the moment. I jokingly said someone ought to put the two together and really shake things up. My friend said it sounded like a terrible idea… So then of course I had to try it. So does this taste exactly like real bacon? No, of course not! 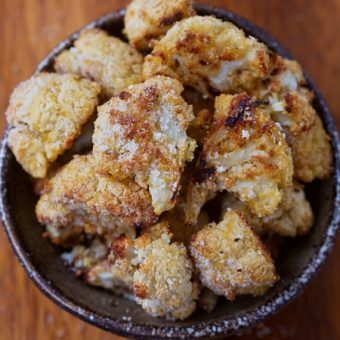 But these cauliflower bacon bits are just as smoky and addictively crispy as real bacon bits and can be used anywhere you’d use commercial bacon bits – sprinkled on salads or baked potatoes, or stirred into Vegan Pasta Alfredo to make your own creamy plant-based Carbonara. They are a more natural and less processed alternative to bacon bits and give you the added benefits of eating a vegetable at the same time. 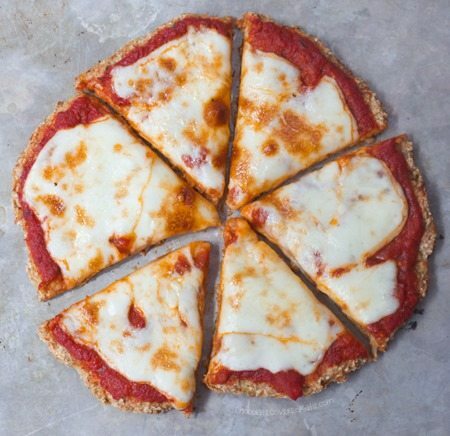 I know the idea sounds crazy, but just like with the Cauliflower Pizza Crust I didn’t trust at first, you never know until you try! *Note: I diced the cauliflower by hand (which only took about a minute). When I tried doing it in the food processor, it became too pulverized and turned into a mushy oatmeal texture – not what you want for bacon bits! Toss the diced cauliflower with the oil. (I haven’t tried it without oil so don’t know if it would get crispy using spray instead, but please feel free to try.) Either bake or sauté until crispy. Then stir in all other ingredients. Add salt to taste if desired. Use anywhere you would use bacon bits – as mentioned in the post, it’s not supposed to taste exactly like bacon; it’s just supposed to have a similar smokey flavor that will compliment dishes where you’d normally add bacon bits. Not everyone will be a fan, but I really love them! Nice. I’m not a vegan, so I don’t have a big problem with bacon, but I’d totally be willing to try this recipe just for the sake of having a new way to eat cauliflower! Thanks, Katie! Haha! I knew you’d get intrigued! And on that note, your chocolate cauliflower cake is one of my FAVORITE recipes on the blog! My mom used to make it on a regular basis once I showed it to her. That and the avocado cake. Mm-mm-MMM! I just made it! And I love it! LOL it doesn’t taste like bacon but it is ADDICTIVE like you said! I read the recipe and watched the video and I’m a bit confused. 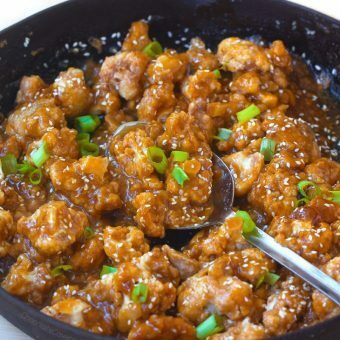 Should the cauliflower be sauted again after adding the spices and things? No need – Just saute until crispy and then you can add all other ingredients right there in the pan as it’s cooking. Then turn off the heat. i literally just bought a bottle of liquid smoke last weekend! this sounds absolutely incredible (and so easy!) – can’t wait to try!!! I just got so excited when I saw this recipe! 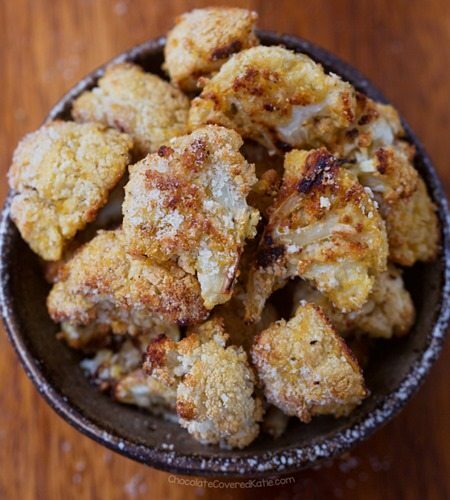 I’ve tired coconut bacon, tempeh, and eggplant – but since cauliflower is my all time favorite, I cannot wait to try this out. So creative! I make kale bacon! This looks like it will be amazing on salads – can’t wait to try it. Thanks, Katie! The second version I used stevia instead of the maple syrup and used only a tiny bit, and I wouldn’t recommend that. The version following the recipe was much better. Brilliant! I love this idea. I can’t wait to try it.. The recipe is very similar to coconut bacon…taste so much like bacon with NO coconut flavor! I’ll have to try these cauliflower bacon…sounds interesting! I BET this is fantastic! I have never been a huge fan of bacon, but I’ll definitely give this a shot! You always have such great ideas! I really want to try this out. I’ve been avoiding bacon since I know it’s unhealthy, but this cauliflower bacon looks all right to me! Is there anything that cauliflower can’t do? This is so much better than the average bacon bit. 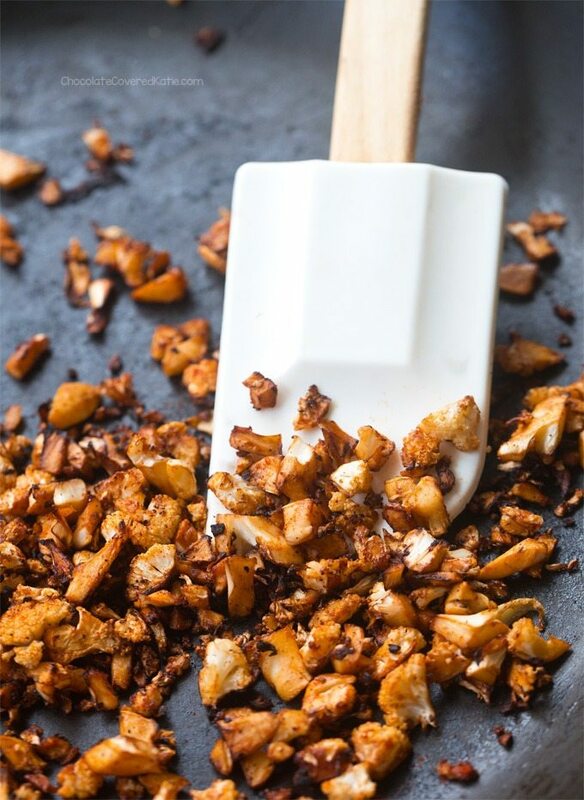 I think coconut bacon is amazing… but this looks pretty much equally as good. And not everyone is wild about coconut flavor so having a non-coconut options is awesome!! Excited to try!! This needs to become a part of my life asap. Thanks for this super quick easy recipe! I have shared this link on my FB site “Super Quick Plant-Based Recipes” https://www.facebook.com/SuperQuickPBRecipes/ I think everyone will enjoy it AND your wonderful site! PS: not vegan or vegetarian, but intrigued with your recipes. 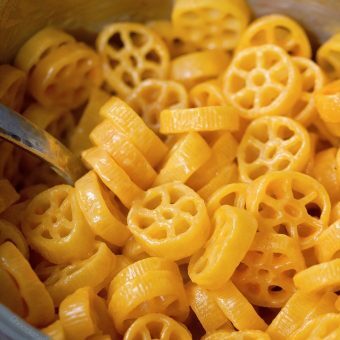 Always looking for more ways to eat my veggies. Smoked paprika does sound good here! How long, and at what temperature, would you recommend baking the cauliflower in the oven to get crispy?